Please note: This event is happening as planned. For updates on last minute cancellations because of the weather, please visit our Facebook event page. 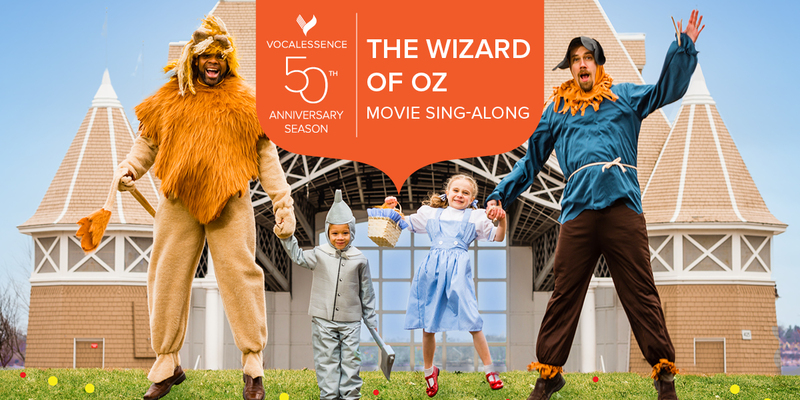 There’s no place like home, and VocalEssence is proud to kick off the 50th season in our hometown in true VocalEssence fashion—using our outdoor voices! Bring the family, grab some popcorn, and settle in for an evening of fun. Led by Associate Conductor G. Phillip Shoultz, III and special guests Jerry Rubino (piano), Alex Maiers (guitar), and Becky Gaunt (fiddle and mandolin), join us as we sing familiar and favorite songs—from movies, to Broadway, to folk, to popular—along with a few surprises. After sunset, stay for a sing-along of one of the greatest films in cinema history, The Wizard of Oz. Prizes for the best costumes. You can even bring your little dog, too!